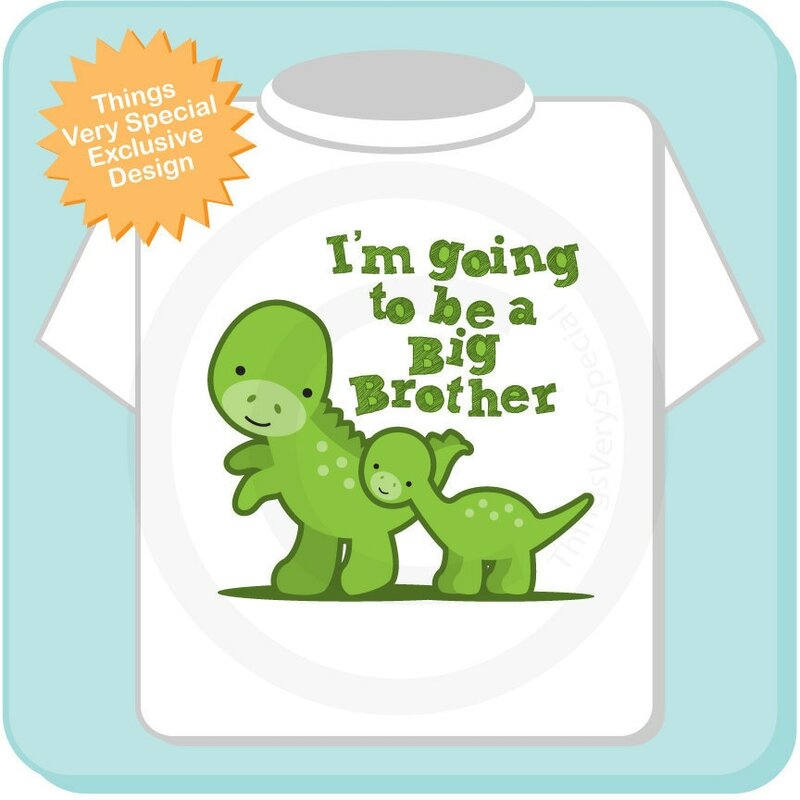 Super cute Personalized Big Brother Dinosaurs tee shirt. This cute green cartoon dinosaurs is not scary at all. 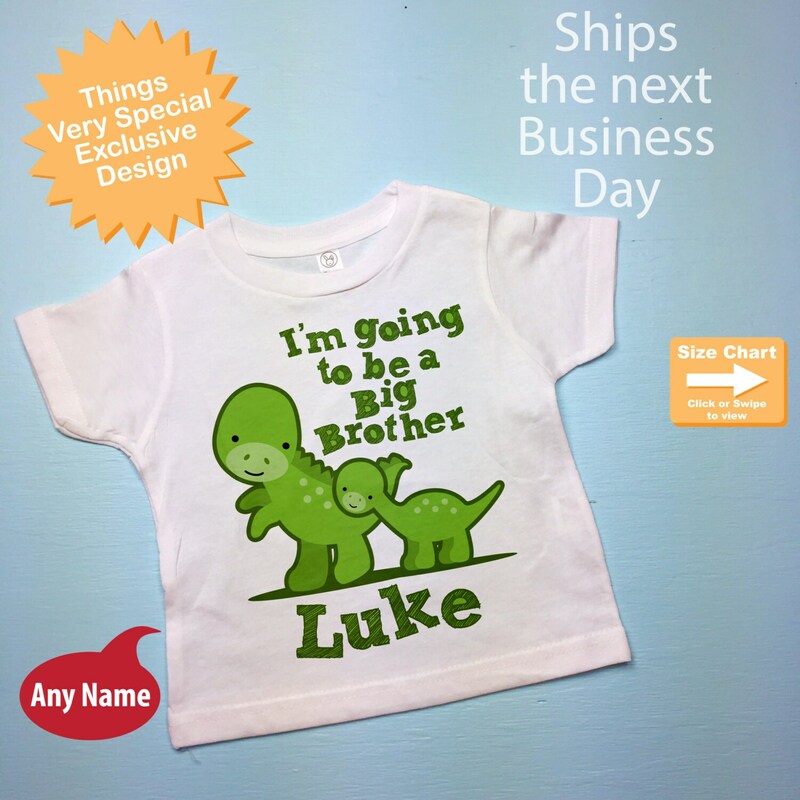 He's perfect for the toddler or young child that is becoming a new big brother. 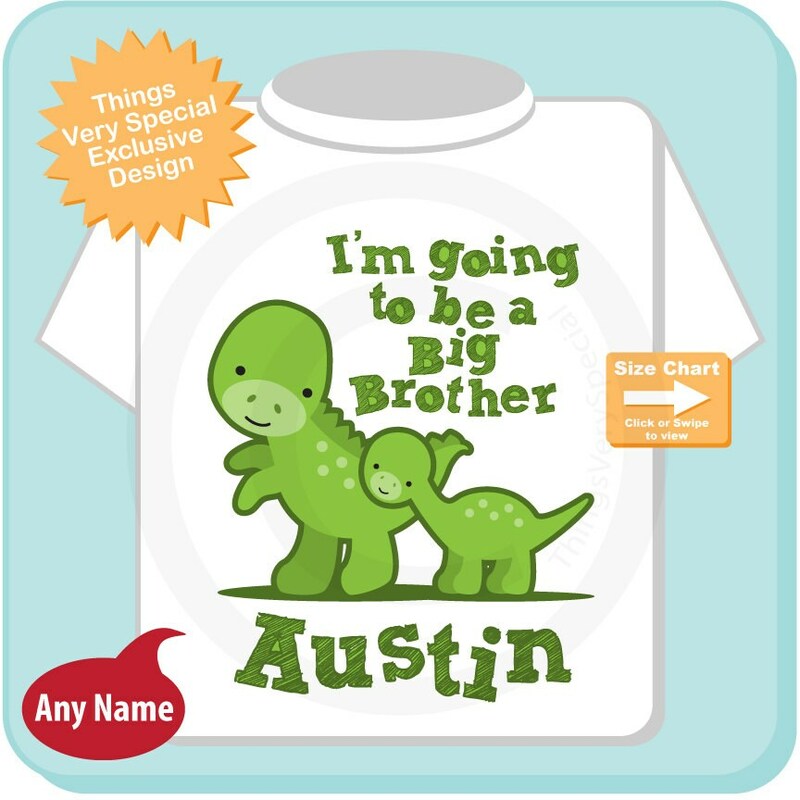 This item says "I'm going to be a Big Brother" but can be personalized with the child's name. Hope my nephew loves this tee as much as auntie!! The size does run small. My nephew just turned 4, I'm very glad I ordered the size 5/6. It's perfect! Thank you. 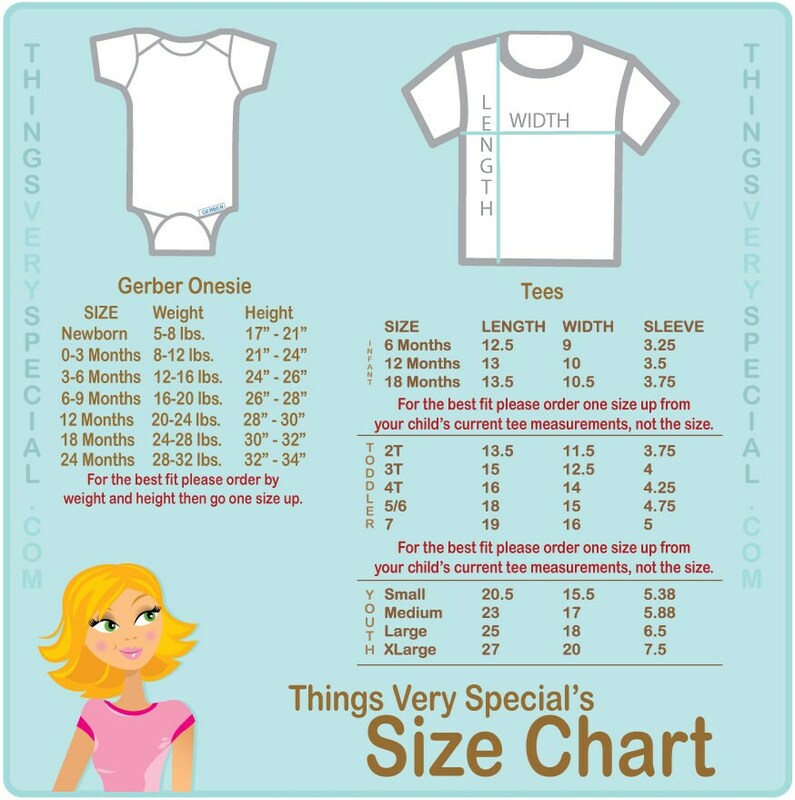 The sizing advice was exact and it arrived promptly.